The only NAS experience I’ve had so far has been with a Linksys NAS, providing nothing more than SMB protocol fileshares. The SMB fileshare protocol makes the Linksys sufficient enough for file sharing in a home network but definately not a NAS device suitable for a Virtualization environment. Obviously I needed more Storage protocol options, like NFS and iSCSI to run some real simulations. And even though I’ve read about different Virtual Storage solutions, like the Celerra VSA, I still wanted to buy new NAS hardware. Hence I decided to buy the Iomega x2-200d StorCenter, which provides iSCSI and NFS protocols as well as the (traditional) CIFS. And along with a fair price and official XenServer and VMware certified status it makes up for a great homelab NAS. Eager to try out the many options, I started to play with the StorCenter, without setting up my entire network first (no VLANs configured so far). First up was a try-out of the NFS and iSCSI options the StorCenter has to offer. 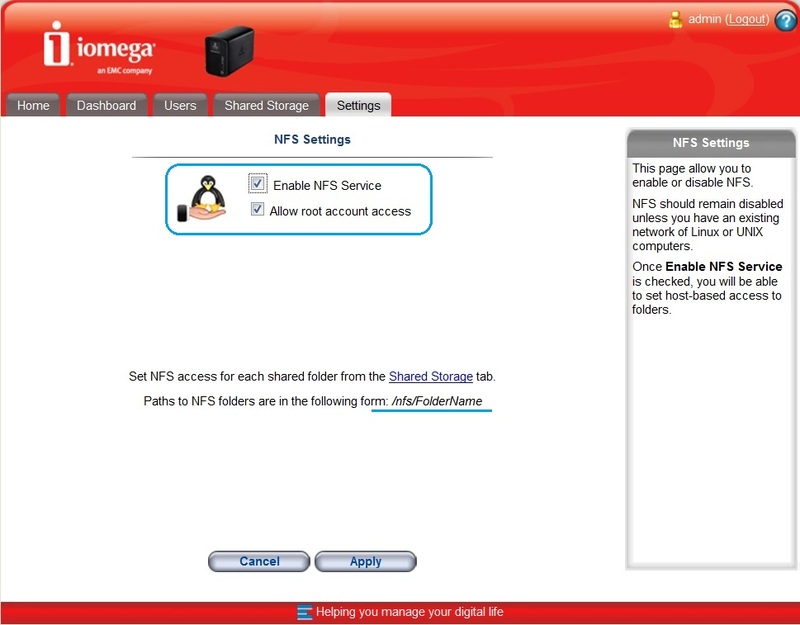 Setting up NFS Shares on the Iomega StorCenter. Open the webbased admin site for the StorCenter. Click on the Shared Storage tab. Click on the Add Storage button. 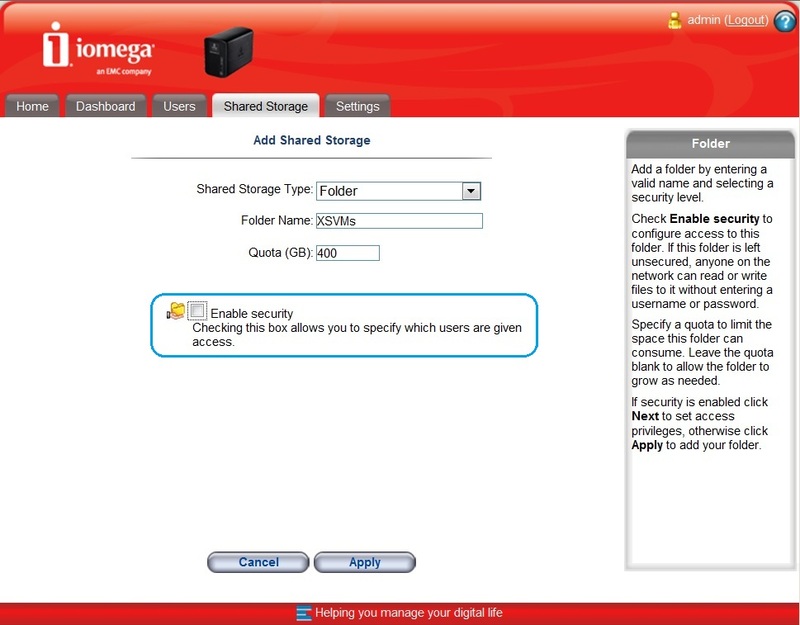 Select Folder for the Shared Storage Type. Enter a name for the Folder Name. Enter a value for the Quota (GB). Make sure Enable Security is unselected. 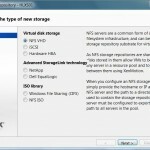 Connecting to the NFS Share from XenServer. Start XenCenter and connect to the XenServer. Select the XenServer in the left pane and click on New Storage. 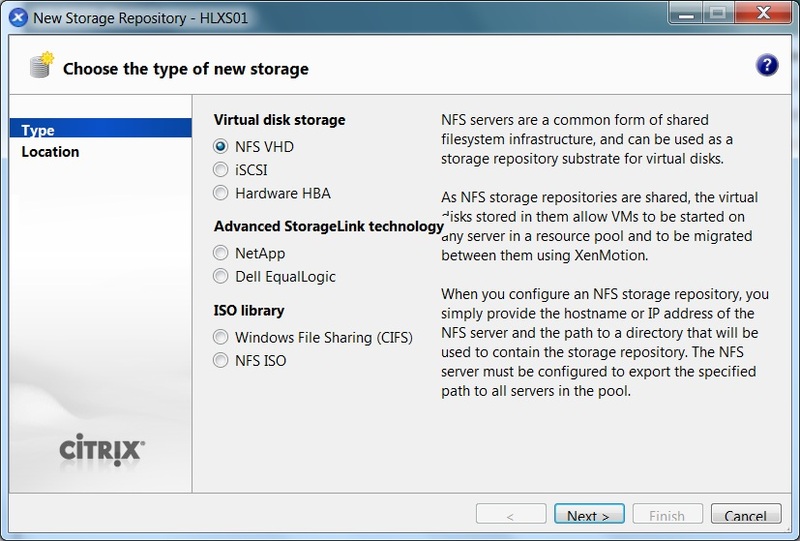 Select NFS VHD and click Next. Enter a name for the New Storage. 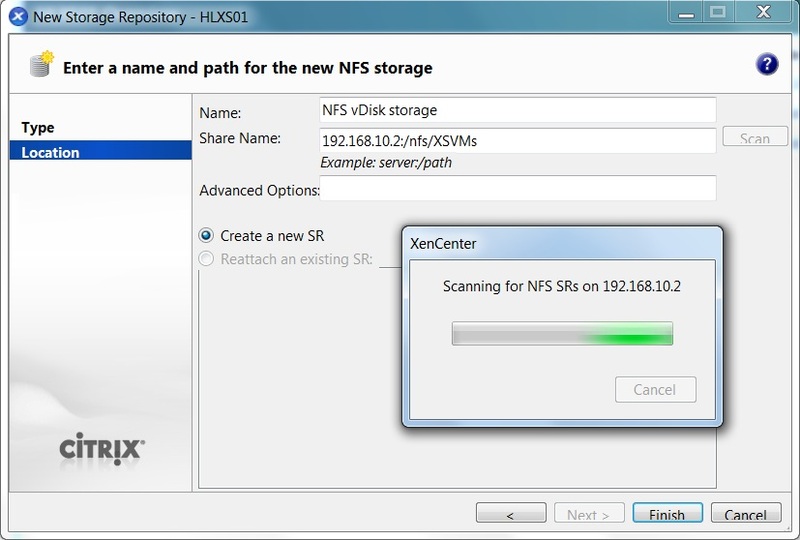 Enter the server (ip-address) and path (nfs/XSVMs) for the NFS Share..
Click Scan to whether the XenServer can connect to the NFS Share. 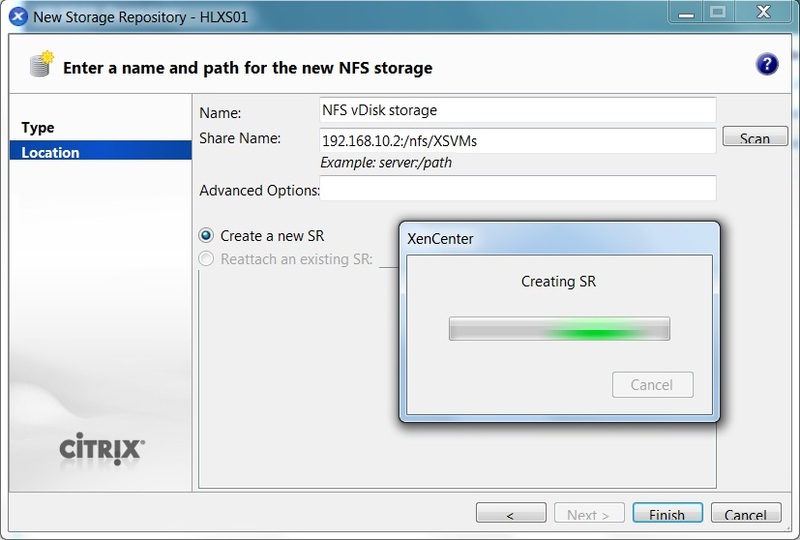 Click on Finish to create a new SR on the NFS Share. (after the SR is created you can see the NFS Share for the XenServer appear in the left pane under the XenServer). N.B. The next blog will show the setup for the iSCSI Drive. Virtual Geek » NEW Celerra VSA!